The garage door is an essential part of your business. Whether you manage an auto repair shop, a small retail store or a warehouse, it can be an important part of your day-to-day operations. You may use it to send out or accept deliveries or bring large equipment in and out. However you use your garage door, the electric opener gives you an additional level of convenience. Whether you're looking to install a new remote operator or need repairs on your current system, Door Pros will help you find the best solutions to all your commercial garage door operator needs. At Door Pros, we work with the best products in the industry. We install Liftmaster garage door openers, one of the best names in garage door operators. These garage door operators combine cutting-edge technology with seamless operation. When you don't have to worry about your garage door opener on the day-to-day basis, you can give your full attention to other business needs. When you're looking for the right system for your business, you need to see how often and in what ways you plan on using the garage door. Several different models are available, each with its own unique functions. With so many options to choose from, it may seem challenging to find the best one on your own. At Door Pros, our team will help you find the right system that best fits the needs of your commercial property. We prefer Liftmaster garage door operators because they have so many features and accessories. With advanced security features, you know the garage door will always be secure. 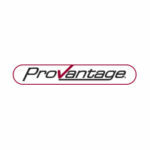 Plus, the automatic maintenance alert system lets you know when it's time to give your system the maintenance it needs. Its safety features reduce the risk of accidents. All of these features come standard, and you can even choose to add on more. We prefer Liftmaster garage door operators are our preferred brand because it has so many features and accessories. With advanced security features, you know the garage door will always be secure. 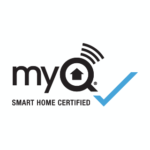 With an automatic maintenance alert system, you'll know when it's time to give your system the maintenance it needs. Its safety features reduce the risk of accidents. All of these features come standard, and you can even choose to add on more. No matter what type of business you operate, your garage door is a crucial part of your daily operations. We understand every company operates differently, so it's important to find the right operator to meet your own unique needs. Firehouses, auto service, small businesses and warehouses are a few examples of the types of businesses and organizations that would benefit from a top-quality garage door operator from Liftmaster. Door Pros is prepared to help you find the right system for your business. When you work with us, we'll consider the needs of your company and recommend the best system. We realize works for one business may not work right with another. That's why you can trust Door Pros to help you select and install a Liftmaster garage door opener that will make your business operations run as smoothly as possible. 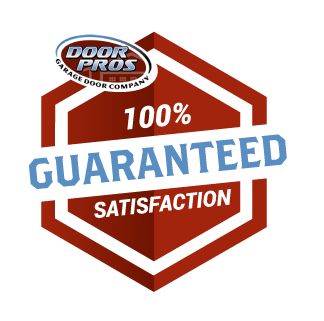 At Door Pros, we have more than 20 years of combined experience. These years working in the industry have given us the expertise we need to provide top-quality service using exceptional products for all of our clients. When you need a new commercial garage door opener installed, Door Pros will get the job done right. Contact us today to learn more about the services we offer or schedule a service.